QUEBEC CITY, Canada -- In cutting the 2020 Summer Games bid city field Wednesday from five cities to three, the International Olympic Committee eliminated both Baku and Doha, immediately raising the provocative question of whether Doha -- which, let's face it, is due to put on soccer's 2022 World Cup -- is ever going to get its chance to make its case before the full IOC. 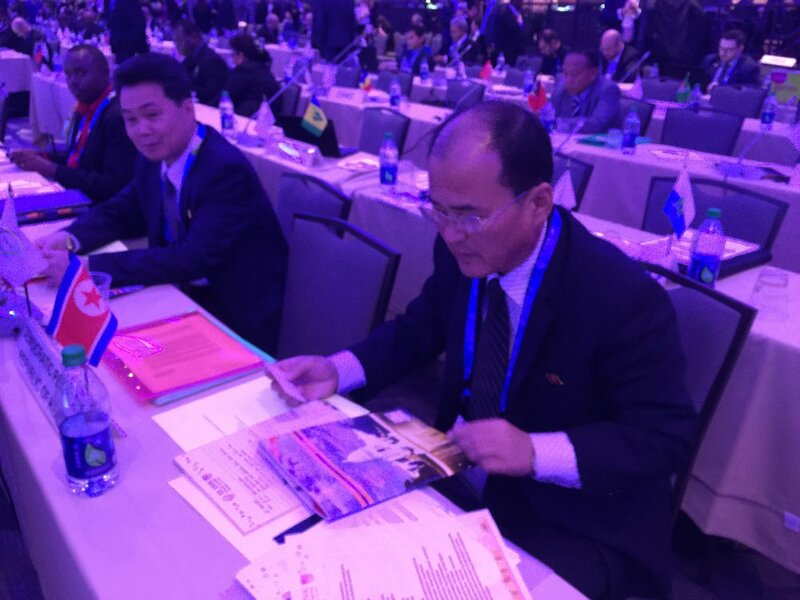 The IOC's 15-member policy-making executive board, meeting here amid the sprawling SportAccord assembly, passed Tokyo, Madrid and Istanbul through to the so-called "candidate city" phase. The IOC will select the 2020 city at a secret vote in September, 2013, in Buenos Aires, a congress marked also by an election to succeed Jacques Rogge, who because of mandatory term limits will be stepping down after 12 years as IOC president. Will the Eurocentric IOC, after electing Pyeongchang, South Korea, for the 2018 Winter Games, want to return to far-away Asia for Summer 2020? This is Tokyo's second-straight bid, Madrid's third, Istanbul's fifth overall. 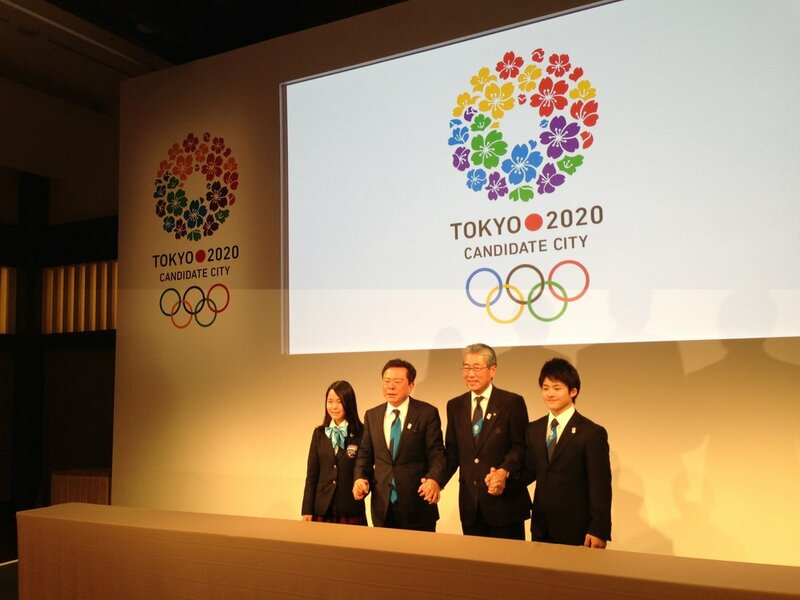 The IOC report released Wednesday that assessed all five would-be 2020 cities called Tokyo's application "very strong." Tokyo typically has graded out terrifically well in such so-called "technical" reports. Now comes the hard part: the political sell. "We have to explain to the members our planning … the excitement … [why] it would be the best Olympic Games and a model for the future," asserted Tsunekazu Takeda, the president of Tokyo 2020 and the Japanese Olympic Committee. The report called Madrid's file "strong." Obviously, Spain is currently beset by economic woes. At the same time, much of what's needed to stage an Olympics is already built; that's the advantage of two prior bids. 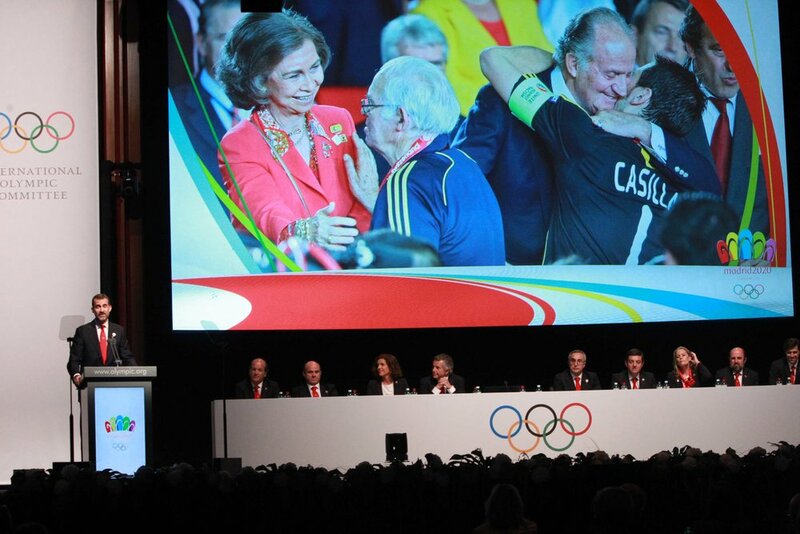 But can the Madrid 2020 team deliver a winning message? Juan Antonio Samaranch Jr., a key Madrid bid official, said, "The IOC, by coming to southern Europe, would be giving a new generation of youth hope and opportunity, and we can afford to do it because the infrastructure is already in place." Can Istanbul run the gamble of bidding for the Games and the 2020 European soccer championships simultaneously? The IOC report, noting that Istanbul's file offers "good potential" but needs to be "refined," stressed that the notion of not only bidding for but actually staging the Olympics and soccer so close together -- they would be held just months apart -- presents "significant risks." Ugur Erdener, an IOC member as well as president of the world archery federation and the Turkish Olympic committee, said the Games were his country's "first priority," adding, "That is very clear." The announcement Wednesday follows Rome's February withdrawal from the 2020 race. Some had considered it a favorite. The Italian government said it simply could not provide the financial guarantees the IOC demands. Baku, the capital of Azerbaijan, was never going to win for 2020 -- Azerbaijan doesn't even have an IOC member -- and so whether they were passed through was always more a matter of passing interest, no more. Make no mistake: a Baku bid is to be taken seriously because they have abundant resource and will. But Baku is for future editions of the Games. The intrigue in this 2020 election was always Doha, the capital of Qatar. Then again, the intrigue in the early stage of the 2016 election involved Doha as well. Four years ago, the IOC cut Doha at this same stage, even though the 2016 technical review had it rated ahead of Rio de Janeiro, which then went on to win. This time, after a ferocious internal debate at the IOC's executive board session meeting last summer at the time of the world track and field championships in Daegu, South Korea, Doha was allowed to jump into the 2020 race amid the proviso it hold the Games from Oct. 2-18 to avoid the desert heat. Doha has successfully staged the 2006 Asian Games and, last December, the Arab Games. Doha has won the right to stage, among other significant events, the 2014 swimming world short-course championships and the 2015 men's world handball championships; last spring, it put on the IOC's sport and environment conference. Overwhelmingly, the summer sports federations said ok to the Doha bid. The Qataris are adamant about the use of sport as one of the four "pillars" of both a "national vision" plan that aims to achieve concrete goals by 2030 and, as well, to cement Qatar's role as a "leading nation in bringing the world together," the Qatar Olympic Committee's vision statement. Here in Quebec City, there was more debate. In Olympic politics -- as in all politics -- perception is as important, if not more so, than reality. It may or may not matter that the issues confronting Doha are on-the-ground real. What matters is that some number of key Olympic stakeholders believe they are real enough. Is the country big enough for the Olympics? The soccer World Cup is big. But the Olympics are a completely different scale: 28 simultaneous world championships. The financial aspects might pose no difficulty, the IOC report said, but building, coordinating and testing transport, housing, competition and non-competition venues as well as identifying, training and housing a Games workforce, all within seven years "presents a major challenge and risk." What about the idea of the 2020 Olympics as dress rehearsal for the 2022 World Cup? That's not the way the IOC works. In Brazil, the World Cup is coming before the Olympics -- in 2014, two years before the 2016 Summer Games. There's this, too, and it's impossible to pretend this isn't part of the dynamic: it wasn't going to happen that Rogge's final months in office were going to be marked by questions at news conferences relating to whatever did or didn't happen in the 2022 FIFA election that gave Qatar that World Cup. If in Baku they have resource and will, that can be said time and again in Doha. Anyone who has ever been there knows how patient, persistent and committed they are in the emirate to achieving their goals. "We will continue and we will not give up. Sport is in our DNA," Sheikh Saoud bin Abdulrahman Al Thani, a Doha 2020 vice-chair and secretary-general of the Qatar Olympic Committee, said after the IOC announcement. Echoed the other Doha 2020 vice chair, Sheikha Al Mayassa bint Hamad bin Khalifa Al Thani, "We're good learners. We're good listeners. We'll be back." It all begs the question: when are they ever going to get the chance to least get a vote before all 115 members of the International Olympic Committee? That, rest assured, would be a most interesting vote. Which brings the underlying issue squarely into focus, doesn't it? Is that really why Doha got cut?